Video has become the most popular medium used by most everyone these days. The old saying a picture is worth a thousand words could not be any more true these day, with our society becoming so much more visual. Being able to capture what is on your Mac’s screen and create screencasts (screen video capture) to share with colleagues has become very popular. Everyday millions of videos are being created using Smartphone’s and shared all over the Internet. While Smartphone’s are convenient ways to record video, there are other video capture devices that can be use to in conjunction with ScreenFlow. The made for Mac webcam iSight pair perfect and also you can use most any USB connected webcam. The tools are the best part of any screen capture software and ScreenFlow for Mac has many powerful recording and editing tools. ScreenFlow provides a very elegant user interface for the screen capture on your favorite video. 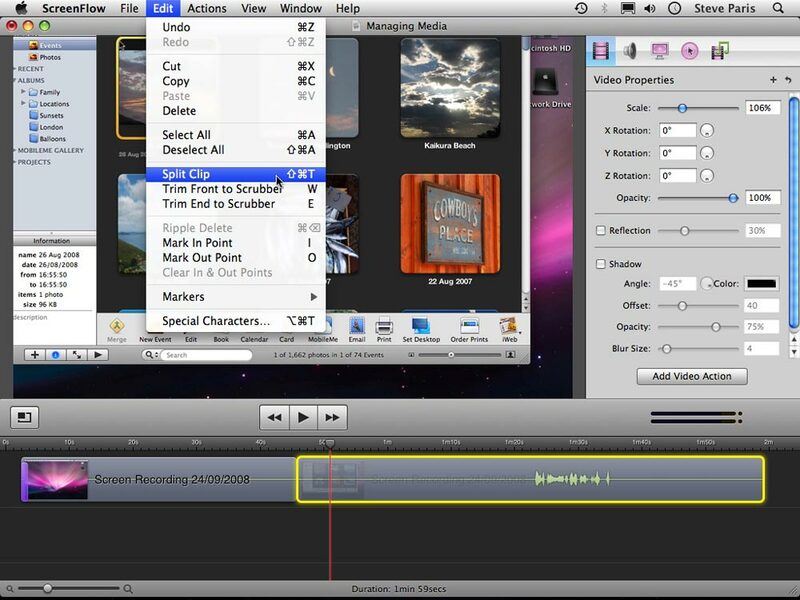 The recording tools are one of the things that really help to make ScreenFlow for Mac shine when you put it up against many of the other screen capture software packages on the market. You have the ability to alter the video recording such as cropping or rotating the video, for a special effect, you can fade the image or alter its opacity to give it a unique result. By using multiple video sources you can use ScreenFlow to put them all together and create screencasts and software tutorials. When it comes to screen video capture software, ScreenFlow for Mac allows you change numerous properties such as to show the mouse or not show the mouse on the screen. You can also set a timer for video recording using the ScreenFlow additional feature. Video maker is only one piece of the puzzle when it comes to making quality videos, the other part is adding audio. There is a whole suite of audio recording tools, whether you want to add sounds from your Mac or add music files from iTunes or other web based sources. You can also use ScreenFlow to record your own audio by installing an additional software driver. 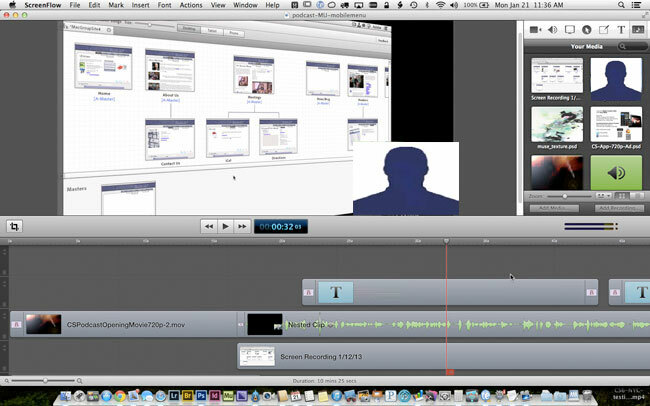 The key to creating quality screencasts and videos is having a software package that has a suite of editing tools. ScreenFlow for Mac delivers the goods in spades. 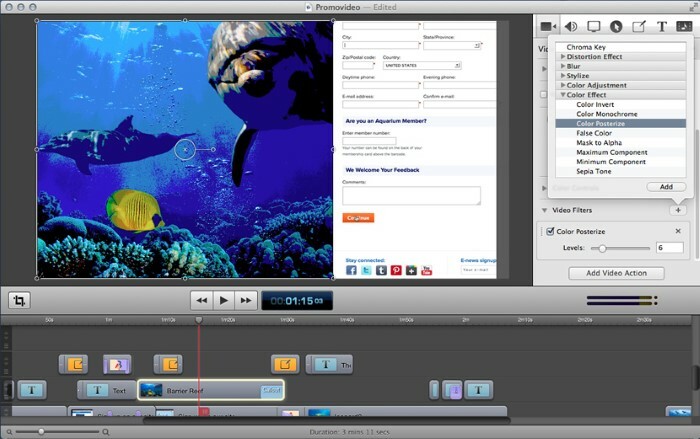 ScreenFlow is jam-packed with video and audio editing tools. You will feel like a professional editor thanks to all of easy to use editing tools. The step-by-step nature of ScreenFlow really makes it easy to create your screencasts from start to finish. As soon as your recording is complete, you will see the editing box pop up. This is where the fun begins. The software designers figured out that the use of a timeline is the best way to edit video clips, so they situated the project in the center of the work area with the timeline underneath it. You can edit many of the properties with another set of tools located along the right side of the dialog box. With these tools you can edit the properties of the video, audio and screen recording including highlights, text and other annotations. The inclusion of multiple professional tools in ScreenFlow will help you add pizzazz to every project like 3D or 2D clips, text and graphical objects. You can also play around with the playback by adding slow motion, freeze frame or fast motion effects. Along with all that you can add text boxes and bubbles of varying colors and opacity. You can even blur or fade parts of video for a completely different effect. You can use fancy fonts and change the size of text to add a cool touch. The set of audio editing tools inside ScreenFlow are equally as extensive as the video editing tools. The audio volume can be adjusted manually throughout the project and it can handle multiple audio tracks like music and narrative. A special tool allows you to split the sound levels and have one more dominant. This means you can have a soft musical background while having a voice track over the top. ScreenFlow gives you a variety of file format options when it comes to saving your project. Creating MPEG-4, MOV also known as QuickTime movies and AIFF standard video clips, but that is not all, with ScreenFlow you can save screenshots and save them as a PNG file format. A special feature of ScreenFlow is the ability to publish your videos in Flash, this makes it more conducive to web page usage. One thing you will not be able to do in ScreenFlow is actually convert native AVI or WAV files. Top selling screen capturing software like ScreenFlow for Mac offer all of those who buy their product multiple options of technical support including; email, phone and online through forums, blog, FAQ and Knowledge bases. 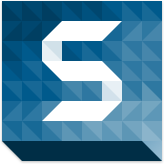 ScreenFlow designers included a link to their online help section in the toolbar to make it much easier for the user to find it. By having so much valuable resources available online and phone support during the daytime hours, you are assured that you will be able to find the answers to your questions about ScreenFlow for Mac, no matter what time of day or night. Certain features like blurring are not functional with the Intel GMA chip. The ScreenFlow for Mac software is well designed screen capture software package that includes powerful screen recording and video/audio editing tools for Mac users. Along with screen capture functions, ScreenFlow makes it possible to use video capture devices like an iSight webcam or some other USB webcams. 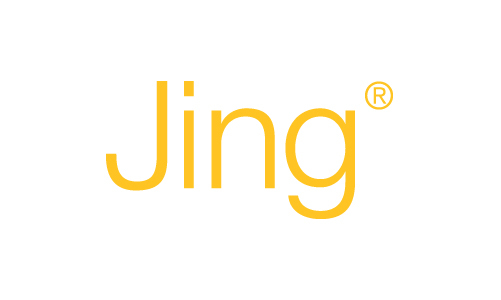 While it is highly regarded for many of it features, there is one downside to its functionality. Unlike some other screen capture software that allows you to choose what part of your screen you want to record, ScreenFlow for Mac records your whole screen. If you currently use a Mac and are in market for a screen capture program, you should give ScreenFlow for Mac a shot. To see more information, just click here. I hope the latest version has many improvements. Reading it too late, still i find it interesting for its screen dimension feature and other editing options. Lot better than the default quicktime video recording tool. Thanks.